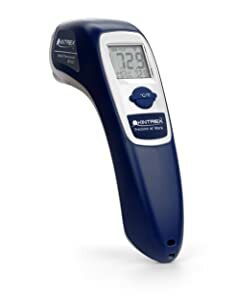 The Best Infrared Thermometer Review: Only Top on The Market in 2019! 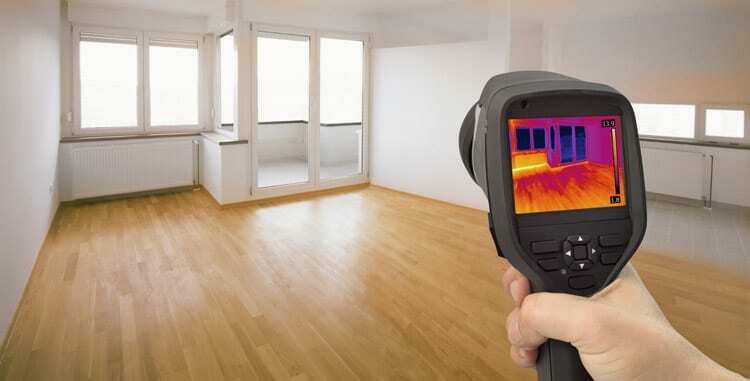 An infrared thermometer has a built-in laser to define the temperature of an object that is located at a distance. If you need an ir thermometer for automotive diagnostics, HVAC service, electrical troubleshooting or cooking and food preparation, there are some aspects that you should consider. Such characteristics as temperature range and resolution, focus spot size and distance, accuracy, laser sighting and the type of a display will help you to choose the right device that will match your requirements and expectations. We found 4 great tools for measuring temperatures of objects at the distance that ensure accurate readings and excellent performance for years. 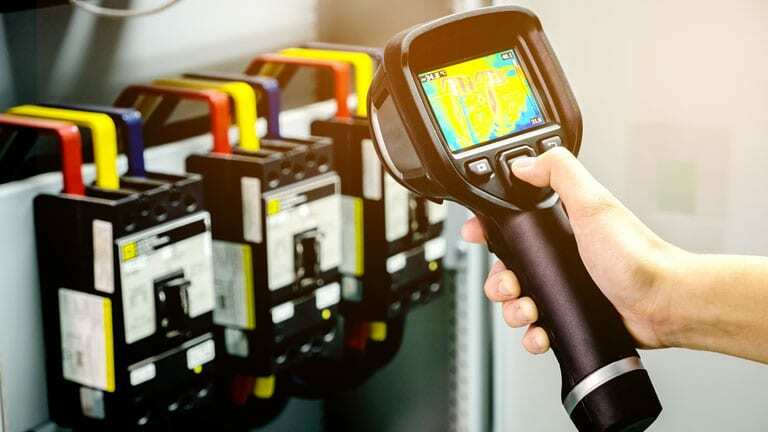 This is one of the best cheap infrared thermometer models that measures noncontact surface temperature and can be used for monitoring electrical, mechanical, HVAC, and automotive systems. The device measures temperature from -30 to 650 degrees C (-22 to 1202 degrees F) with an accuracy of + or – 1 degree C or + or -1.0% of the reading from 0 to 650 degrees C.
It has got dual lasers that rotate to pinpoint the edges of the measurement area. The thermometer displays the minimum, the maximum, the difference between the two temperatures, and the average temperatures. The product is certified IP54 for protection against dust and splashing liquid. Also, it is IP54 rated for dust and water resistance. The device is quite small and lightweight, so it is easy to clip to a tool belt or belt loop and work hassle-free. The thermometer shows very accurate temperature measurements, it is ightweight and super durable, doesn’t break when falls. No. 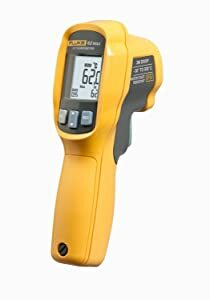 This is another good-looking and accurate infrared thermometer that can measure temperature from -30º to 500ºC (-20º to 932ºF) on the distance to spot size: 10:1. The device provides instant current and max. readings. It has got a large display, so you will be able to read it without problems. The device is featured with a single dot laser sighting system. It has got a durable, compact, and sleek design and is powered by a 9V Alkaline battery that comes with the thermometer. A great thermometer for automotive troubleshooting and diagnostics, precise measurements, big display with clear info. No. 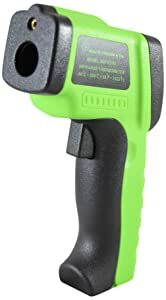 This is the best infrared temperature gun if you have a limited budget. The device provides newly adjustable emissivity from 0.10 To 1.00. The gun has a built-in pointer sight for better accuracy. The thermometer reads temperatures in c/f. Also, there is an optional back-light that can be turned on or off. The device is featured with the auto shutoff in 60 seconds. The thermometer comes with 2x AAA batteries that can be easily replaced. The device measures temperature from -14º to 550º (-58º to 1022ºF) and guarantees accurate information. BAFX Products is a famous and reliable manufacturer and designer of audio, visual, sports, outdoor products and tools. 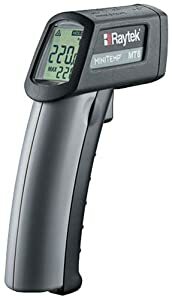 Low price, quick and accurate temperature reading, compact and lightweight. No. This is another well-recommended and best infrared thermometer with an attractive design. The device measures temperature from -60 to 500 °C (-76 to 932 °F). The device works on the distance to spot ratio of 12:1 which is a great index. The thermometer guarantees quick and exact readings. Its response time (90%) of 1 second. The device is featured with an auto shut-off at 15 seconds when idle. The thermometer comes with 2 two AAA batteries that you will be able to replace. The device is recommended for using for automotive diagnostics, HVAC service, electrical troubleshooting, cooking and food preparation, and hobbies. Affordable price, quick and accurate readings, nice grip, lightweight, and portable, long-lasting batteries. No. Those were 4 infrared thermometer reviews that hopefully will help you to find the best device and measure temperature. Watch the videos and read carefully about the products’ characteristics and select the most suitable ir thermometer for your needs.